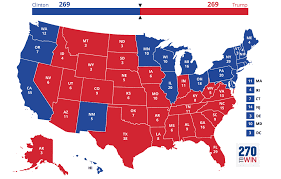 Consider this: After the 2008 election Democrats controlled the House, Senate and presidency, but their legislative agenda was blocked at every turn by minority Republicans. All-out war was declared on the Obama presidency and Senate minority leader ‘Smirky Mitch’ McConnell stated publicly that the Republican cause was to limit Barack Obama to one term and they would do everything in their power to make that happen. That’s metaphor, folks. No one is advocating violence, but the stakes are far higher than they were in 2008 when the only Republican complaint was that a black man had won the White House. Will Rogers famously said, "I'm not a member of any organized political party.... I'm a Democrat. Democrats never agree on anything, that's why they're Democrats. If they agreed with each other, they'd be Republicans." There’s a lot of truth in that. When Democrats held majorities they were still confounded at every turn by their inter-party disagreements. ‘Holds’ are possible in the Senate to block legislation. (Wikipedia) In the United States Senate, a hold is a parliamentary procedure permitted by the Standing Rules of the United States Senate which allows one or more Senators to prevent a motion from reaching a vote on the Senate floor. To achieve ‘cloture’ (releasing the hold) 60 Senators must vote for it and Democrats control 48 seats. Sticking together, they can avoid cloture. Filibusters represent additional tools, although their use is controversial and few ultimately achieve their intended goal. But they are there and a powerful tool to delay legislation. So the key is discipline and, as Will Rogers so accurately said, discipline is not common among Democrats. It better become so after January 20th when Donald Trump becomes president and all hell breaks loose.